The Allied Cooperative grain plants are going strong with corn and beans coming into the plants. All of our plants are keeping later hours to accommodate our customers during this busy time of year. 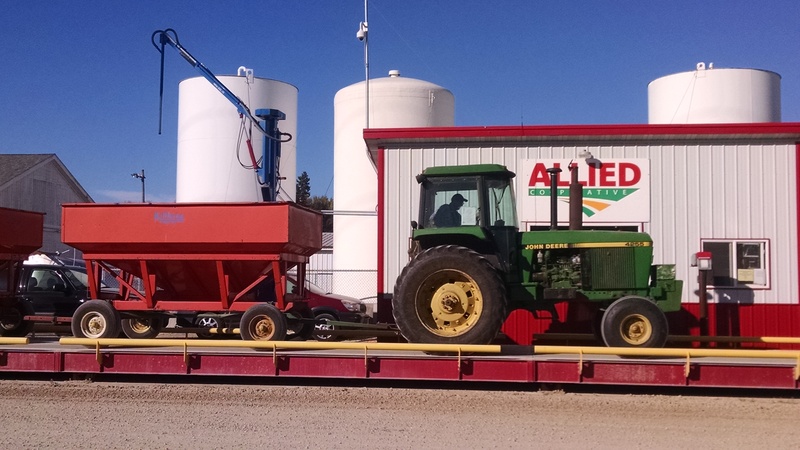 Pictured above: Customer John Anderson pulling on to the scale at the Allied grain plant in West Salem. John is 89 years young and still harvesting his crop. He has been a member of the co-op for 70 years.